I’ve had to move all the breakable things in my flat in anticipation of some long awaited repair work, and the act of having to take things of the shelves and wrap them up to store on top of the kitchen cupboards for a couple of weeks, has forced me to look at them. They are part of my every day environment, my eyes pass over them every time I walk through the front door, but it’s an age since I actually looked at them. And I’ve got to admit, I’ve got some pretty strange stuff sitting there gathering a layer of dust. Why exactly do I have this piece of classic Russian kitsch? It manages to encompass pretty much all the clichés you can think of, the stove. the woman in a headscarf beside her balalaika playing man in his woven wooden shoes; there’s a samovar, a pitchfork, a scythe and herbs drying in bunches. If you look hard enough you’ll see the cat on the chimney and I’m sure there must me some mushrooms about somewhere. I bought it a month or so before I left Moscow at the end of my years of working there. Until then I’d bought very little of the ubiquitous Russian handicrafts and knick knacks. I had some paintings I’d bought to brighten up my flat, and I’d some blue and white Gzhel pottery because I’d needed a vase and a teapot, but apart from that I’d avoided all the folk art shopping opportunities There would always be time to do that later…. until I realised I would be leaving soon. 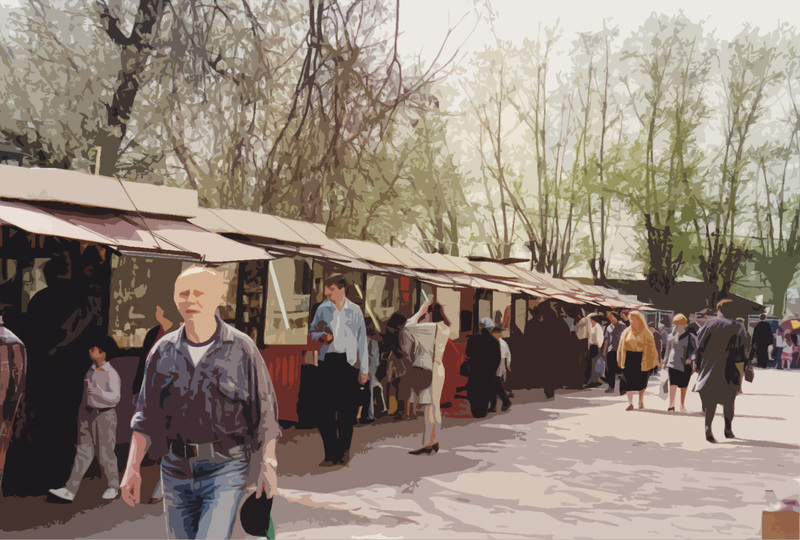 I undertook a major expedition to the Ismailovsky market with some friends to act as advisers. I got back home after an afternoon of shopping with enough stuff to start my own stall. I’m fairly sure they told me that someone would love this as a gift. I have yet to identify that person. It’s lived on several different shelves over the last 15 years, latterly high up on the bookshelves in the hallway, and each time I move it, I wonder why I don’t just give it away to a charity shop, but looking at it now, it immediately brings to mind that day of shopping, and knowing that my time in Russia was coming to an end, and I had no idea what I was going to do next. The recent showing of a documentary about Bobby Fischer, the chess player, and in particular about his World Championship match in Iceland against Boris Spassky in 1972 reminded me of how, in the Cold War period, so many things were viewed through the prism of the power struggle between the US and the Soviets: the race to the moon, any Olympic games, and even chess. Whichever was the winner proved the physical and intellectual superiority of that political economic system. It looks like another world, seen from the contemporary perspective when what we see of Russia is now largely characterised by the extreme wealth and opportunism of the exiled oligarchs. The 1972 chess World Championship was also about the behaviour of individuals, though, and in particular the waywardness and unreliability of Fischer, who, although he managed to aggravate and alienate everyone he met, still managed to win the contest, watched by a world still totally invested in the symbolism of the Cold War. The various talking heads interviewed in the programme maintained that Fischer, despite the appearance of gamesmanship in his delaying antics, was largely struggling with himself, rather than his opponent, throughout his matches. Everyone agreed that in order to become good at chess a person has to spend a lot of time practising it, and that can make it very difficult for some already withdrawn intellectual people to deal with the world in a ‘normal’ way. I’ve only known one person who was very serious about playing chess, and he too was a rather difficult character. 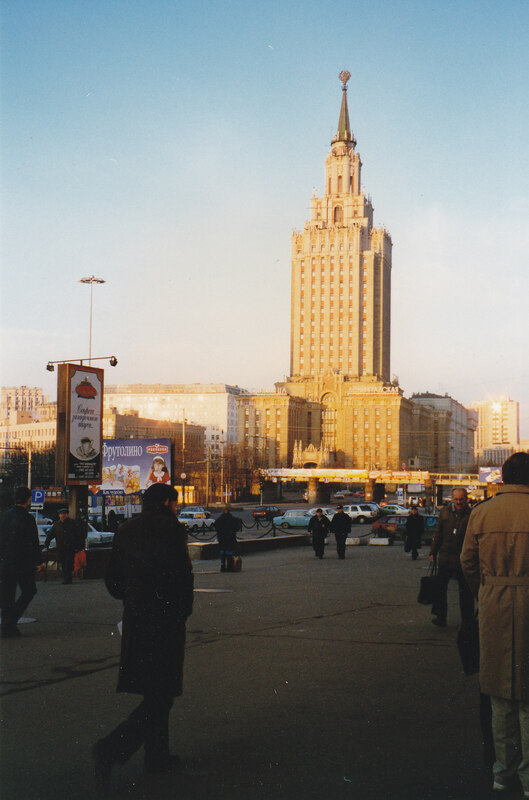 It was while I was working in Russia in the mid 1990s. K, a Brit, was already working at the firm when I arrived in Moscow. I subsequently learned that he had sought out the opportunity to work in the city so as to be able to study with a particular Grand Master. In the office he was theoretically meant to report to me, but I never quite managed to make that happen, as I so rarely saw him, and when I did, he was in a rush, late for a meeting, or in such a bad temper that it was politic to leave him alone . Most mornings when I arrived at the office, his jacket would already be on the back of his chair, a file would be open on the desk, but otherwise there would be no sign of him. After some weeks I discovered that he was getting in about 10 minutes before me and then going into the Gents toilet to play chess on a handheld game device ….for hours. It was an open secret amongst the staff members who used those particular facilities. I’ve never quite removed that visual image from my mind’s eye and will, I think, be wary of the player of chess forever. A comment from one of my friends in relation to a post a few days ago about buying things in a dollar only shop in Moscow set me reminiscing about the change in what was and was not allowed in Russia in the period I spent there. 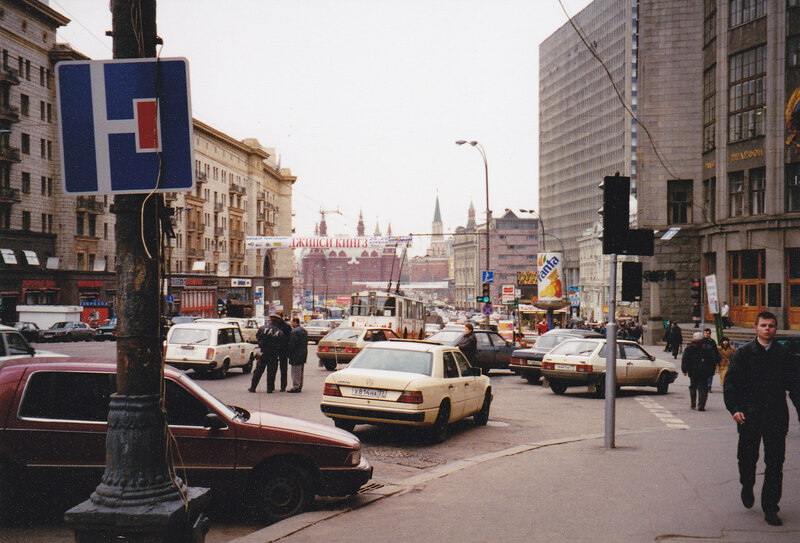 By the time I made my first visit to Moscow in December 1994 the dollar only shops had already disappeared. Anyone could have dollars to spend; the restriction against Russian’s holding US currency had been repealed; it was just a question as to how one might get ones hands on them. It was a period of such rapid change that I recall that when I tried to research guide books before my trip, the only ones in the shops still recommended taking cigarettes as gifts for local contacts. I didn’t know much, but I knew that Philip Morris and BAT were already trading extensively in the newly opened market. 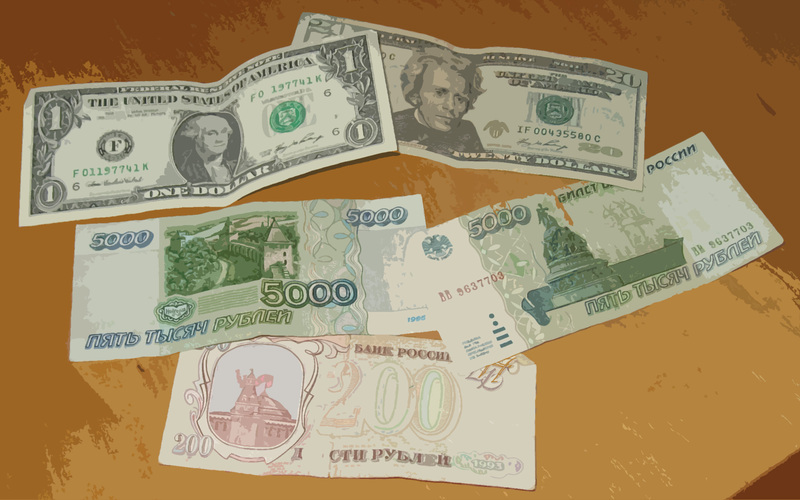 In that period of late 1994, early 1995, many transactions were conducted exclusively in dollars; rouble inflation was rampant, so the only way to set a stable price was to use the trusty buck. Prices in the restaurants I went to, in the supermarket I shopped at, were all quoted in USD. You had to have nice new, shiny bills. Any crumpled or less than pristine notes would be rejected. I became so accustomed to seeing only crisp new notes that when I went to the USA for a visit, I was astonished how scruffy the money was there. Over the years I developed a relationship with a bank teller in the Clydesdale Bank at Piccadilly Circus and would go to her every time I needed currency, as she understood the ‘fresh bills’ requirement. Some time in 1995 the Russian law was changed to prohibit the use of American cash in any transaction. Infringements would result in a 100% penalty. Showing true Russian flexibility most establishments complied. The prices on the menus and on the shop shelves were still in dollars, but there was a sign over the door that disclosed the applicable exchange rate. As nothing had been done to control rouble inflation, the rate changed daily. If you paid in cash, you could calculate the number of roubles that would be required; if you paid by credit card you might be charge in dollars, deutschemark or finmark depending on some whim that was never apparent to me. Then the authorities stepped in again and forbid the use of US dollars to price anything. And once again, natural ingenuity found a solution: the introduction of the universal currency unit. Entirely coincidentally the exchange rate for the ECU to USD was 1:1. After a little bit of reprinting of price lists, everything carried on as before. Just to show, there’s a way around most obstacles. Writing my post yesterday reminded me of all the tales and mythology I heard from my Russian friends about shopping; or really, about all the stories I heard from people. 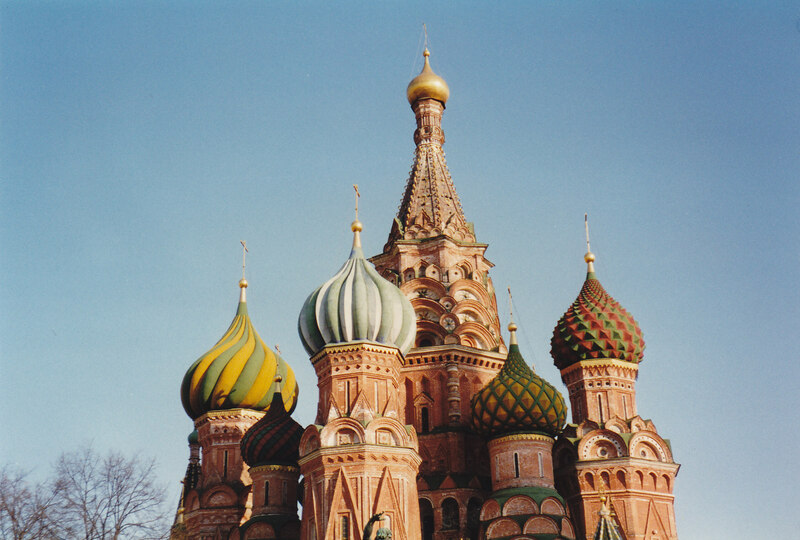 In my novel set in the Moscow of the mid 1990s, Rose Fleming, my protagonist learns a lot about the country through listening to tales told to her by her friends. It was my experience that, in Russia, there is nothing prized more highly than a good story, and I decided to try to use a bit of that in my novel. So I was very gratified when I read ‘Russian Talk: Culture and Conversation during Perestroika’ by Nancy Ries to see that there is some cultural authenticity to that impression. Ries is an anthropologist; the hypothesis of her study was that Russian people may derive a great deal of their sense of identity out of the tales they tell about themselves, both individually and collectively. I was not making a study, but I would often ask questions simply to hear my colleagues out do each other with the comedy or the tragedy of their stories. Shopping was always a good subject to get them going; it wouldn’t take long for the idea of the hunt or the chase to be raised. It was more than a metaphor in times of shortage the effort of finding food and then queuing to buy it in shops where often you had to wait in one queue to pay, before then waiting in another to actually get your hands on your purchase. Everyone had a story of some extreme shopping adventure experienced by their Granny. I remember one of my colleagues telling me her Granny had bought so much soap a couple of years before that they had it stored on the top of every cupboard in their flat. It would likely last a lifetime, especially as since she bought it, much nicer things were available, so no-one wanted to use the glut. They would however never throw it away, as you never knew when there would be another shortage. I copied one story wholesale for my novel. Sasha had participated in a school exchange programme and his family played host to a child from the UK for a week. For the six months leading up to the time of the exchange Sasha’s mother and grandmother had shopped tirelessly so that the flat was full of food for the week of the visit. Everyone laughed, but I felt embarrassed for that British school boy who ever he was. I didn’t have the experience of the terrible shortages in the early years of perestroika, but I understood something of the shopping struggle as well as the tremendous generosity of a Russian host. I was inspired by the photos on the Art and Life blog to think about shopping and one’s perception of excess and choice. This is a photo of a shop called something like ‘Elysian Fields’ near Pushkin Square in Moscow. I must have taken it in 1996, and given what the people are wearing it must have been late Spring or early Summer. 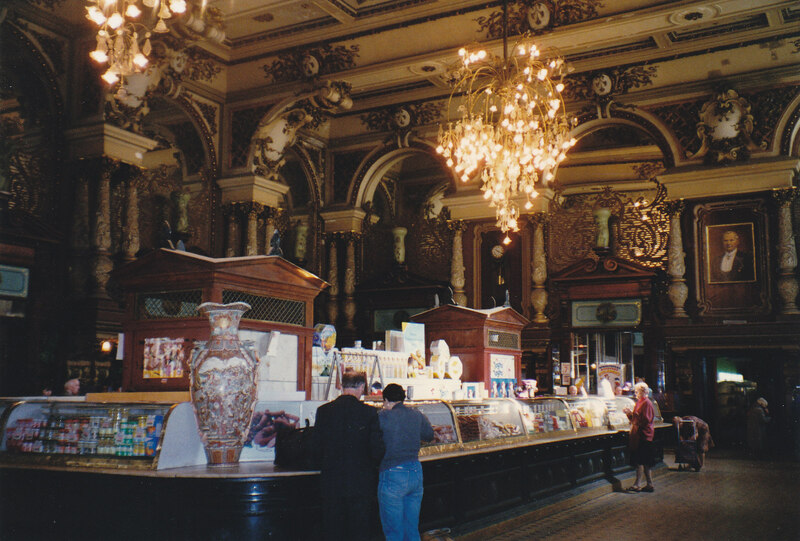 It’s not typical of the places I did my shopping when I lived in Moscow; the elaborate decoration make it as different from the usual as Harrods Food Hall is to shopping in Londis. There aren’t many people there, because despite the chandeliers and giant vases, there is really anything you would want to buy, on sale. In my first few months in Russia in early 1995 it took me a while to accustom myself to the way one had to shop there. There was no guarantee of a regular supply of anything, so if you saw something you liked, you bought lots of it. We all adopted the thrifty Russian practice of always having a carrier bag in our pockets, just in case. I became particularly fascinated by the merchandise on offer in the Dieta shop in my block on Tverskaya. One day there might be a surfeit of German ketchup, and the next day the shelves would be filled with Burtons chocolate chip cookies. Further down the road a Danone shop sold nothing but yoghurts with Polish labels. Even in Stockmann, the Finnish supermarket with the most reliable supply chain, there was no point having a list. You went to the shop and you bought what they had. During the years I lived there and then visited afterwards, what was available improved immeasurably, but in my first three to four months grocery shopping required a degree of dedication I would never previously have thought I had in me. I made my first trip back to the UK after nearly five months of being away. I stayed with a friend in London and one day went with her to Sainsburys. I will never forget that feeling of being assaulted by choice. I stood transfixed in front of the the array of lettuce, utterly incapable of making a selection. The only salad things I’d seen while I was away were aging bowling ball iceberg lettuces tightly wrapped in plastic. To be presented with all shapes and sizes of lettuces as well as bags of mixtures, rendered decision making impossible. I wanted to look at them all before I picked one; I wanted to choose exactly the right one. Eventually my friend came to find me, picked a bag up and threw it into the trolley with barely a second’s hesitation. I realised I had lost my tunnel vision; that focus on only the thing you really want that makes shopping in a large supermarket possible. You have to be able to ignore most of the options in order to escape with your sanity in tact. When I moved back to the UK, I quickly re-established my shopping defence. It returned quite quickly, probably of necessity. There are whole aisles in the supermarket that I never have to visit; my eye can scan rapidly over the produce on offer, to boil down the choices without my brain becoming engaged. Mostly, I know if I forget something, it will be there and available when I go next time. It does no harm, however, to recall the effect of that over abundance had on me, that day. I’ve probably spent more time than is healthy thinking about airports, or one airport in particular, in the last few months. The opening chapter of my novel about Rose Fleming and her adventures in Moscow takes place in the arrivals hall at Sheremetyevo airport. I’ve been very attached to it as a setting for the opening as it stands in as a metaphor for beginnings, a first impression of the country, and it presents Rose with a litany of challenges for which she is not well prepared. But it has also been like a rod for my own back. All of the struggles Rose experiences happened to me at Sheremetyevo, not all on the same occasion, as she has to endure. I say that with the smug assurance of a person who passed through the hell-hole that it was in the 1990s probably a score of times; and then I start to wonder. I have spent so many hours conjuring up the place in my memory that I am now wondering if I can tell the difference between what I remember really happening and what I have made up for the purposes of the novel. Either way, in my pretentious moments I think it will reflect the truth of the experience(!). 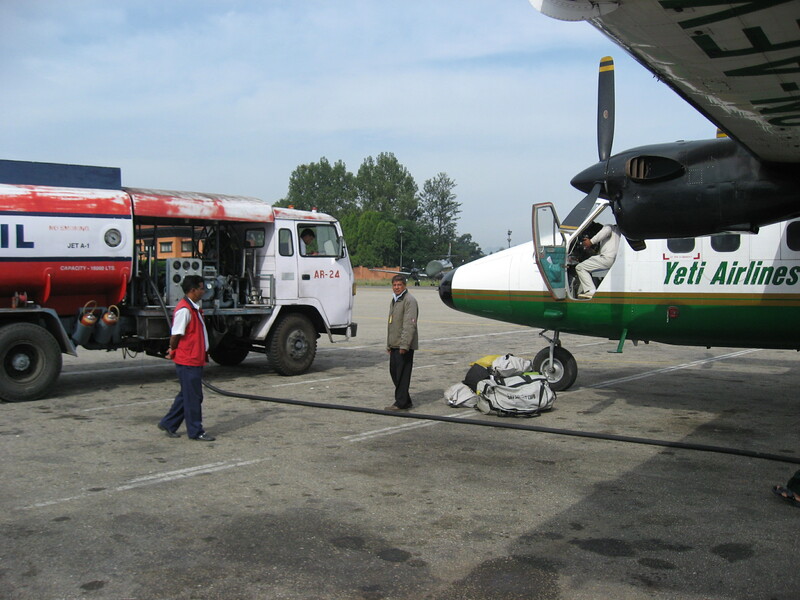 Airports are hideously fascinating places however you approach them; especially as the first experience of a country. The things they have in common may out weigh their differences, but there are individual characteristics about each, and I always arrive with a mixture of dread and excited anticipation. I like to think I’m pretty careful wherever I go, but, with the extra warning ringing in my ears, I had a disturbing dream on the flight. It was commonplace for me to be met at the airport by a car sent by the office I was visiting; I would get into a car with a complete stranger, solely on the basis that he was at the airport with my name written on a piece of card. In my in-flight dream the ‘real’ driver was lying unconscious by the rubbish bins, while the man who had left home there drove me off into the pre dawn chaos of Sao Paulo. Cursing my over active imagination, I have never been so relieved to arrive unscathed at a hotel. Some early feedback I received on an early draft of my novel was that there were far too many references to shoes and footwear. It provoked quite a lot of debate, but I’ve more or less stuck to my guns on the topic, largely because when I first arrived in Moscow I was very conscious of my footwear and the ever present risk of falling over, as, inevitably, I always seemed to have on the wrong shoes. In my more pretentious moments I think it is the perfect metaphor for how unprepared I was for my stint there. When I went for my ‘look see’ visit in December 1994, I took a pair of thick soled boots with me, but packed in my luggage. 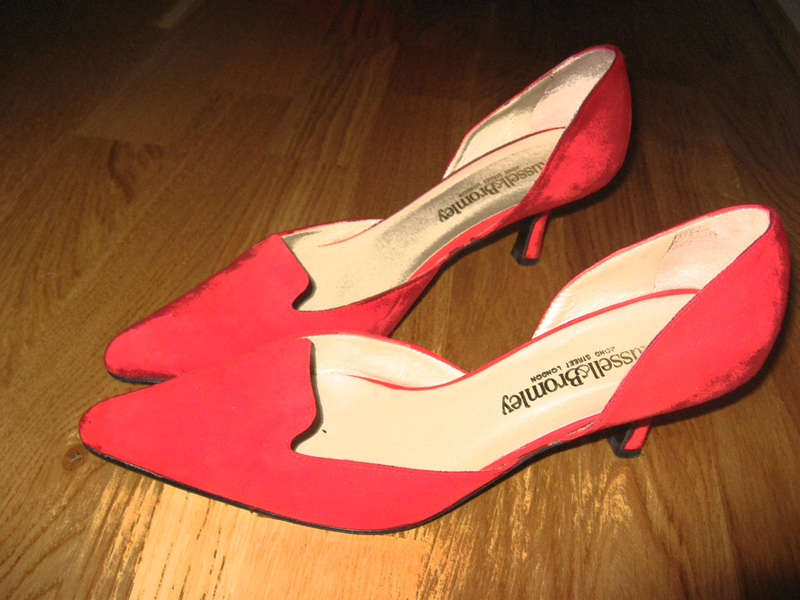 Because, in my mind, I would be spending most of my day at the airport and on the flight, and then I was told I would be met at the airport and taken straight to my hotel, I wore a normal pair of ‘office’ court shoes for my journey. He told me to wait for him just outside the door and I stood hopping from one foot to the other, not wanting to have both feet on the freezing ground at the same time. When I got into the car, the foot well was already filled with a pool of melting snow, which my shoes gradually absorbed, as I sat scrunched up, my bags on my knee, holding onto the handle above the door. Arriving at the hotel, I had to navigate the marble entranceway, slick and slippery as a polished ice rink, without falling. I made my first faltering attempts at the Russian way of sliding ones feet along the ground without quite lifting them and without pushing too much on the trailing foot. Young Russian women can do it in high heeled boots at high speed, a skill I never mastered. Later, confident that I had worked out that boots were mandatory, I met my hosts who were taking me to an opera at the Bolshoi. They both looked at my feet and said ‘you do have indoor shoes with you, don’t you?’ So I had to go back up to my room, get my inadequate pumps and carry them in with me in a plastic carrier bag. At the Bolshoi I then tottered around on one foot changing my shoes before handing the boots with my coat in at the cloakroom. When I was living in the city I worked out my own routine. 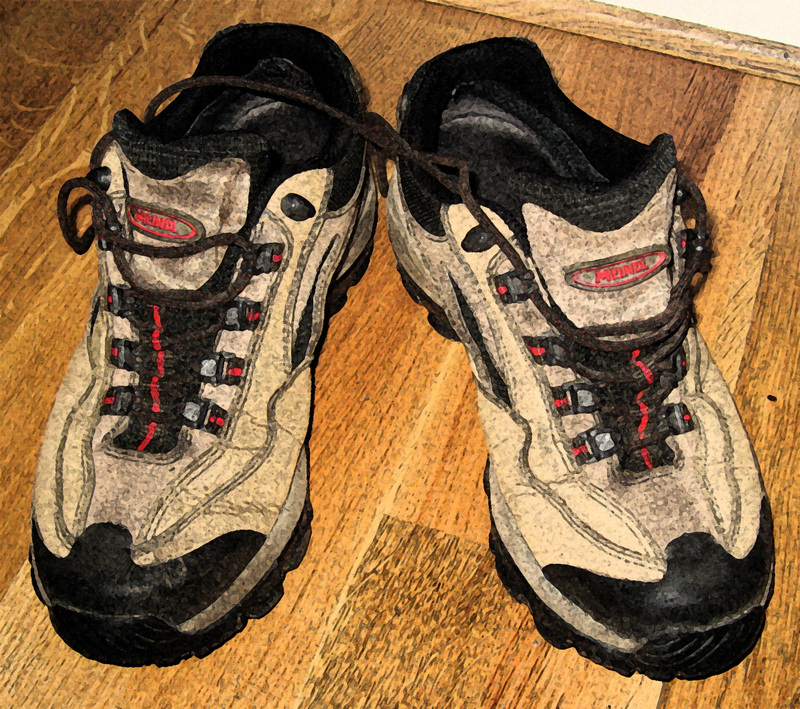 I wore boots outside and had a collection of ‘office’ shoes which lived underneath my desk, as I hated carrying shoes around in a plastic bag. The routine for getting dressed and undressed to go out became rote. Thick socks, boots tied and ready before even contemplating hats, scarves, coats and gloves; any other order and I was so bundled up it was impossible to bend over to tie my boots. 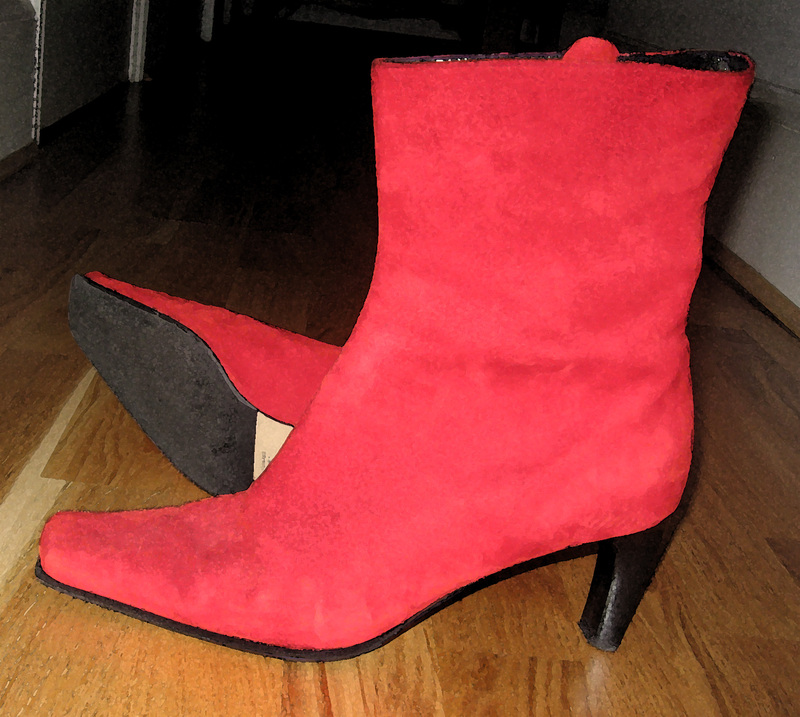 And, yes, I did wear them in the Bolshoi on subsequent visits, as changing was a step too far for me. One habit learned there did stick with me. That is to take my shoes off as soon as I went into someone’s house. When to not do so creates mess from dirty snow melting, one would never think of doing otherwise; most hosts then offer you a pair of slippers kept specially visitors. Even in our more temperate climate, it still seems to me to be the polite way, although I know there are those who disagree. I read recently of a murder in Russia. When asked why he had killed a visitor to his home, the killer said he had done it because the victim had failed to take their shoes off on entering his apartment. The commercial considerations I raised yesterday clearly had an impact on individuals; Russian people have seen a lot and survived terrible weather and totalitarian governments, the upheaval of fast track capitalism was just the latest thing to come along in the mid 1990s. Some people adapted very quickly, for others it took a little longer. The strategy of the firm I worked for was to hire bright young people straight from University and to train them in-house in the ways of audit and tax advising. 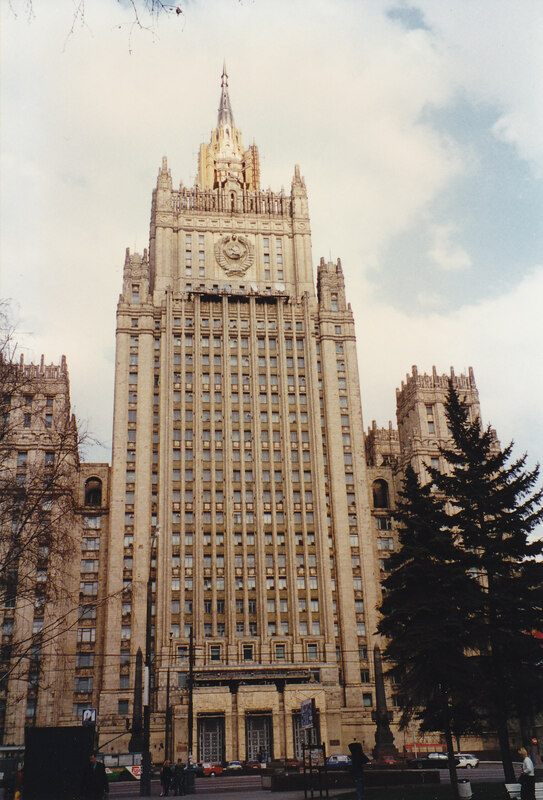 I made surreal visits to the Finance Academy and Moscow State University to give ‘milk round’ type presentations, followed by one to one interviews in our offices. I interviewed a lot of people. I tried not to be overly swayed by the candidate’s facility with English, although at the time they were required to speak it. Instead I tried to get them to speak to me, about anything. At first, I did mental somersaults with glee if I could get them to say something, anything, other than, they thought they wanted to work for the firm because it would be interesting. As time went by I developed a better array of questions, but the candidates also developed better answers; so much so that I sometimes wondered if some enterprising person had prepared a crib sheet for them. I’d like to think so. The Russian trainees’ salaries were quoted to them in US dollars, but were paid in Roubles as was required by law. Every month, the trainee then had to be given time off one afternoon to go to the bank where they withdrew their salary in Roubles, converted it to US dollars and then either redeposited it in their US dollar bank account or kept it in cash. There was fierce competition as to who could go to the bank first, as in a period of rapid Rouble devaluation, the real value of the salary could fall from one day to the next. Having a salary paid by reference to a dollar amount was probably the most interesting thing about working for a foreign firm for many of my Russian colleagues. Without access to US dollars, people who, in the Soviet era, enjoyed a comfortable lifestyle were sinking into poverty. Access to this dollar salary for the young members of a family changed the power balance in many homes. The parents, perhaps long serving civil servants or teachers earned barely nothing from their jobs, but did retain their rights to the family flat. The children had the cash, but not enough to move out and get their own home as the cost of accommodation in Moscow was astronomical at the time. My Russian teacher, Volodya, a lecturer in Russian as a foreign language at The People’s Friendship University, earned the money he needed to keep his family fed and clothed by teaching me, and others like me, at a dollar rate per hour, but could not afford to give up his university job, as to do so would lose him his apartment. His relative affluence came from the happenstance that he had learned English as his second language and could therefore teach incoming expats. He had learnt English at a time when it was very unlikely that he would ever have the opportunity to meet anyone who spoke it as their first language. But then the Soviet education system taught all its students a foreign language, many of them not obvious choices; I saw CVs with Hindi and Africaans as second languages, although never had the opportunity to test them on it. The blurb, or so-called ‘elevator pitch’ that I am developing to sell you my novel in the shortest possible time, has, from its very first draft contained the phrase ‘set against the backdrop of the social and economic change in Russia in the mid 1990s’. Feedback I have received always includes comment that one of the strongest elements of the work is the sense of place and time that I have evoked. This is gratifying as I’ve put a lot of thought into conjuring the sense of place without it sounding like a travelogue. The changes that were underway is harder to dramatise as it is only with the benefit of hindsight that we can see their extent; living them at the time it wasn’t always clear what would last and was in fact a real change and what was just a temporary blip. And as my novel is written from the point of view of a newly arrived expat for whom everything is strange, I found myself attempting to balance and remember how things affected me and those I knew at different times during the years I was there. It was during this period that the people we now know collectively as ‘the Oligarchs’ were acquiring control over vast swathes of Russia’s natural resources, but I had neither knowledge or experience of it. We knew about the pyramid schemes and the ‘paper shares’ bought for the equivalent of kopeks from elderly former workers in state industries, and we knew about people being swindled out of the apartments they had lived in all their lives; we saw the proliferation of new Banks on every street corner, but the scale of the personal privatisation of Russia’s mining and oil industries only became evident later. I worked for the Moscow office of one of the large international accounting firms. The vast majority of our work was to assist foreign multi national companies establish themselves in Russia and the other countries of the former Soviet Union. Depending on the nature of the products they were trying to sell, they either wanted to set up their own manufacturing facilities (for example for fizzy soft drinks), or establish joint ventures with former State operated enterprises (for example tobacco and chocolate). The idea that there would be any Russian investment going out of the country was laughable at the time. But it was only three of four years later that friends who were still working there told me that they were working for newly rich Russian entrepreneurs; and more recently this kind of advisory work has grown to dominate some of the practices. Those companies trying to establish joint ventures with existing State enterprises in many ways faced some of the greatest challenges. There was a huge divide in experience and expectations. Many Russian managers didn’t understand the consequences of accepting financial investment from a Western company; had no idea how to provide the information that was required, had no yardstick against which to measure the value of what it was they were producing, and at first didn’t understand the multiple strings that came attached to foreign investment. Many neophyte western investors got their fingers burnt when local deals were undone by a random change in regulation, or the realisation that they were expected to fund the whole town where the factory they had targeted was and always had been the sole employer in the area. And that’s not taking into account the many ‘novii ruski biznessmen‘ who interpreted free market economy in their own idiosyncratic ways. When did you first use the internet? Have a mobile telephone? Send a text message? Have your own computer at home? Technology moves on so quickly these days it’s often hard to remember when things arrived. Hasn’t it always been there? Of course not. But I need other milestones to allow me to remember. When I was writing my novel about Rose Fleming I set it very specifically in the mid 1990s, the period in which I lived in Moscow, because so many things have changed so dramatically in the 15 years since that I wouldn’t know how to describe it now, and I wanted to avoid anachronisms. I remember very specifically the technology that was available to me then. I didn’t have internet access, I didn’t have a mobile phone; I watched VHS videos and listened to the BBC World Service on a short wave radio. When I made occasional visits to London I used pay phones as, if pay as you go mobile phones existed then, I didn’t know about them. In the office we had a satellite phone system because the local lines were poor quality and like speaking through a rustling crisp packet, and international calls were automatically terminated at 20 minutes. We communicated with clients outside Moscow by fax, and those in the city by hand delivered letter. Just before I left the was the beginnings of a debate over whether or not it was possible to send a client technical advice on which they might rely, by email, and how the boiler plate caveats could be enforced if they’d only been sent electronically. How could formal signature be digitally affixed? Email simply wasn’t quite serious enough to be professional. I raise these points because some of the feedback raised and questions I have been asked about my novel have been querying the absence of technology – why didn’t she call? Is she really that cut off? And all I can answer is that these are the things I actually had at my disposal during those years. Awareness of language was another point that caught me up in a lot of discussion. Before I went to Moscow I don’t think I had ever heard anyone speak Russian other than in ‘B’ type espionage thrillers: evil spymasters who shouted harshly. I certainly hadn’t appreciated what a sibilant language it is, nor how softly many people speak it. And I had most definitely never heard anyone speaking it in the street in London. I remember being in Marks and Spencer in Paris during a short holiday trip away from Moscow, and hearing two women speaking Russian behind me. I was so surprised I turned to look at them. This reaction is hard to imagine now that it is commonplace to hear both Russian and the multitude of other eastern European languages spoken by many London residents now. So when I wrote a scene in which Rose, on a short trip back to London, is afraid when she hears men she thinks may be following her speak Russian, I had to remind readers that in 1995 in Tottenham Court Road, the sound of this language was an unusual occurrence. I’d still be hard pressed to tell you when I first had a mobile phone, although I know it was much later than most people. It was even later before I left it switched on other than when I wanted to use it to make a call.